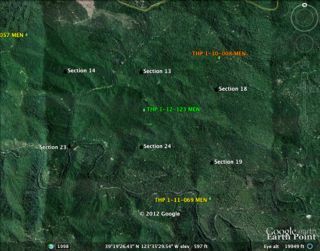 THP 1-13-006 HUM (CR 3500 13 THP) Green Diamond Resource Company, 13 acres; 89% clearcut, 11% no-harvest logging. Headwaters Little River (HUM: T7N R2E Sec.5). Wet weather operations, moderate erosion hazard, steep slopes up to 70%, coho watershed, 4 spotted owls within 1.3mi, trees up to 48” dbh. Estimated public comment deadline: 03/01/13. This THP is located about 11 air miles north of Korbel, CA, at an elevation of 1,280 - 1,480 feet. It is near the headwaters of the Little River, an important coho and steelhead fishery which drains into the Pacific Ocean. It is a small THP with only 1 unit located along the ridge top above some tributaries of the Little River. Green Diamond Resource Company is planning a mostly cable logging operation to clearcut mature second growth redwood and Douglas fir. More information is available on the THP Tracking Center website. THP 2-13-005 TEH (Croney Creek 2 THP) Crane Mills, 2,168 acres; 50% sanitation salvage, 50% shelterwood logging. Elk Lake, McClure Creek (MD: T24N R9W Sec 4,5,6; T24N R10W Sec 1; T25N R9W Sec 28,29,31,32,33; T25N R10W Sec 36). Winter operations, high erosion hazard, steep slopes up to 80%, unstable areas, 55 road drainage work sites, chinook watershed, 8 spotted owls within 1.3mi, goshawk within .25 mi, scattered large trees. Estimated public comment deadline: 03/07/13. 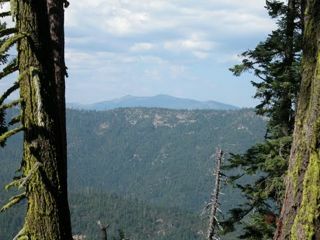 This THP is about 21 air miles NW of the town of Paskenta and near the Yolla Bolly Middle Eel Wilderness Area. It is a re-submit of the 2007 Croney Creek THP which was never operated on. Crane Mills is planning a tractor and cable logging operation with a blend of sanitation salvage and shelterwood removal to remove trees with dwarf mistletoe and some larger over story trees. The THP is close to 8 spotted owl territories which have some limited habitat due to an abundance of dryer more open south facing slopes. The majority of the watershed drains into Thomes Creek eastward towards the Sacramento Valley and eventually into the Sacramento River. More information is available on the THP Tracking Center website. Thanks to public outcry and comments submitted by the THP Tracking Center, EPIC and the Center For Biological Diversity, Sierra Pacific Industries (SPI) has been forced to drop the clear cutting of 22 acres of 130+ year old old growth. 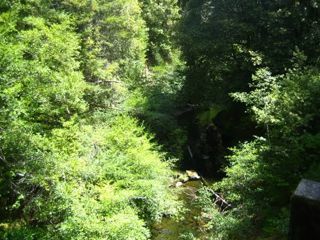 The Hiker's Parade (THP 1-12-042 HUM) is located in the upper Redwood Creek drainage, an important coho and steelhead watershed that lies just to the east of Eureka, CA. After reviewing the proposed old growth clearcutting plan within a known Northern Spotted Owl nesting and roosting core area, CAL FIRE biologists determined that harvesting the unit as proposed would result in direct harm to owls. SPI failed to identify that old growth would be harvested in the original Timber Harvest Plan (THP) document. Only after a Pre-harvest Inspection in which California Department of Forestry and Fire Protection (CAL FIRE) field staff identified the stand as old growth, did the public learn of the real qualities of the stand. In addition to this, SPI originally typed the old growth stand as ‘foraging’ habitat for Northern Spotted Owls. Once the California Department of Fish and Wildlife (CDFW) inspected the project site and found that the stand was actually core nesting and roosting habitat for owls, SPI changed the habitat designation of the stand to reflect its true importance to the owl. THP 1-12-042 HUM (Hiker’s Parade THP) Sierra Pacific Industries, 241 acres; 58% clearcut, 31% rehab, 8% selection, 2% no-harvest, 1% roadside logging. Cloney Gulch, High Prarie Creek (HUM: T5N R3E Sec.11, 12, 13; T5N R4E Sec.6, 7). Winter operations, moderate erosion hazard, unstable area, impaired 303.d watershed, road failure site, steep slopes over 65%, coho watershed, 7 spotted owls within 1.3mi, white flowered rein orchid in unit 100, trees over 40” dbh. Estimated public comment deadline: 06/16/12. More information is available on the THP Tracking Center website. Unlike other land managers in the Elk River watershed, Green Diamond continues to propose intensive clearcutting, road construction, and potentially the use of toxic chemical herbicides. Clearcut logging as proposed will result in decreased canopy interception and transevaporation, resulting in increased water production and sediment transport to a watershed already suffering from intensive sediment impairment. Take action now and you will be a part of the growing momentum to curb the greenwashing excesses of Green Diamond (ex-Simpson). 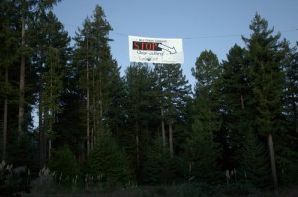 Tell Green Diamond to stop clearcutting in Elk River and through out their properties. Tell Green Diamond that intensive evenaged forest management in the Elk River watershed is no longer acceptable, a relic practice from the past that has been shown to result in intensive environmental damage. Tell Green Diamond to manage for forest and watershed restoration recovery, not for intensive extraction and profit. Tell Green Diamond to Be a Good Neighbor and to Respect the Headwaters Forest Reserve. Click Here to Take Action Now! 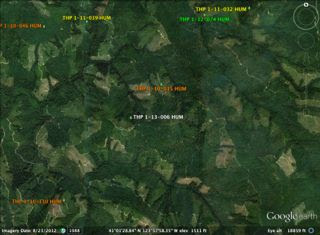 THP 1-13-005 HUM (Three Forks THP) Humboldt Redwood Company, 237 acres; 72% group selection, 16% selection, 12% no-harvest logging. Lower N Fork Elk River (HUM: T4N R1E Sec 21, 22, 27, 28, 33). Winter operations, moderate erosion hazard, 15 road drainage work sites, slopes up to 60%, landslide terrain, 303.d impaired watershed, coho watershed, 10 spotted owls within 1.3mi, 4 osprey nests within 1.3 mi, logging in marbled murrelet stands units 1 & 8, trees up to 48" dbh. Estimated public comment deadline: 02/25/13. Humboldt Redwood Company is planning a new tractor and cable logging THP about 6 miles SE of Eureka, CA near the Lower North Fork of Elk River. This THP is in an area that has a long history of logging, but also contains some remnant marbled murrelet stands (units 1 & 8). There are a large number of active and dormant landslide terrain features within the watershed which is listed for sediment and siltation. The THP is at a fairly low elevation (180 - 800 feet), and drains into Elk River and Humboldt Bay at the Pacific Ocean. More information is available on the THP Tracking Center website. THP 2-13-002 BUT (Bloomer Hill THP) Soper Wheeler Company, 347 acres; 65% transition, 27% commercial thinning, 6% shelterwood, 2% no-harvest logging. East Fork Canyon Creek, Bloomer Ravine, Wild Yankee Creek (MD: T21N R4E Sec.24; T21N R5E Sec.19, 30). Winter operations, moderate erosion hazard, steep slopes up to 60%, 3 unstable areas, impaired 303.d watershed, scattered large trees. Estimated public comment deadline: 02/23/13. This THP is within .75 miles of Lake Oroville and Highway 70 near the town of Concow. The Soper Wheeler Company is planning a tractor logging THP near where the North Fork of the Feather River drains into Lake Oroville. It is in a mostly inaccessible area of Lake Oroville, at an elevation of 2,200 to 2,880 feet. 9 road drainage work sites are planned including the use of class III crossings, dip construction and culvert cleaning. Planned exceptions to the Forest Practice Rules include the use of class III crossings during the winter period, and an extended time period for burning slash. The North Fork of the Feather River is listed as “impaired” for temperature and mercury. More information is available on the THP Tracking Center website. THP 1-13-003-MEN (3 Chop James 2012 THP) Coastal Ridges LLC, 387 acres; 52% transition, 33% rehab, 9% selection, 6% no-harvest logging. James Creek (MD: T18N R15W Sec.24, 25, 36). Wet weather operations, high erosion hazard, steep slopes up to 65%, road failure sites, 34 road drainage work sites, impaired 303.d watershed, coho watershed, 7 spotted owls within 1.3mi, marbled murrelet stand nearby, peregrine falcon within .75mi, scattered large trees. Estimated public comment deadline: 02/24/13. 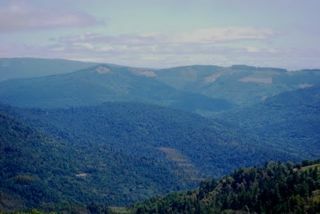 This THP is about 6 miles SW of Willits, CA and just off of Highway 20 near the Jackson State Forest. Coastal Ridges LLC is planning a 387 acre tractor and cable logging THP on 387 acres of their 18,700 acre Willits Woods holdings. The THP is also 500 feet from the Dresser Grove Marbled Murrelet Stand in Jackson State Forest. Much of the THP is on steep slopes with 15 unstable areas including cut bank failures, fill failures and washed out roads. The THP drains into the Big River which is listed as “impaired” because of excessive sediment. More information is available on the THP Tracking Center website. THP 2-13-001 SIE (Cove THP) Sierra Pacific Industries, 2304 acres; 52% group selection, 24% selection, 19% sanitation salvage, 3% seed tree, 2% thin around aspen logging. English Meadow, Jackson Meadow Reservoir (MD: T18N R13E Sec.3, 11, 13; T19N R13E Sec.21, 33, 35). Winter operations, high erosion hazard, 3 unstable areas, steep slopes up to 75%, 14 road drainage work sites, wet areas, high elevation meadows, helicopter logging of large trees, wolverine sighted within THP (2009), 3 CA spotted owls within 1.3mi, 3 goshawk territories, 3 marten sightings, 2 mountain beaver sightings, subalpine fireweed, Donner pass buckwheat, obtuse starwart, trees up to 70" dbh. Estimated public comment deadline: 02/18/13. 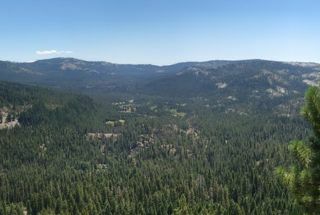 This THP is 12 - 19 miles NW of Truckee, and just south of Jackson Meadows Reservoir, a popular fishing and boating lake high on the Sierra Crest. SPI is planning a large timber sale at the headwaters of the Middle Yuba River at an elevation of 6,130 - 8,080 feet amongst steep highly erosive and granitic soils. This THP contains some nice high elevation stands of red fir, lodgepole and hemlock, and is near 6 campgrounds and boarders the Pacific Crest Trail which runs along its eastern boundary. SPI is claiming the presence of insects and disease in red and white fir stands, and mistletoe in Jeffrey pine stands which is normal for such stands at higher elevations to justify their logging. They are also planning to remove conifers around aspen stands at 8 sites, and to construct 2,735 feet of new road. Helicopter logging is proposed which means it is likely they will be removing large trees from the area, which have been reported to be as large as 70” dbh. They are also proposing to use 5 landings in or adjacent to class III watercourses, and to construct 2 spur roads that lead to a watercourse. 14 road drainage work sites are planned including installation of temporary bridges, construction of vented fords and low water crossings. According to the THP; California’s only Wolverine was documented in the THP area by carnivore camera in 2009 and has been known to use the area since then. There were 3 American Marten sightings reported (.5-1.3mi of THP), 3 Northern Goshawk sightings reported (.3-1.3mi of THP), and two 2012 Mountain Beaver sightings within the THP. There are also historic Pacific Fisher, Badger and Sierra Nevada Red Fox sightings in the THP area. SPI reported 2 CA Spotted Owl (.13-.75mi of THP) in the area, although I found 3 (SIE0076, SIE0087, NEV0069) CA Spotted Owls within 1.3mi using my database. So far according to the THP, DFG has failed to do consultation due to budget constraints. 3 occurrences of Subalpine Fireweed, 1 occurrence of Donner Pass Buckwheat and populations of Obtuse Starwart were reported. More information is available on the THP Tracking Center website. THP 1-13-001 MEN (Somewhere In Between THP) Mendocino Redwood Company, 438 acres; 50% seed tree, 19% rehab, 13% no-harvest, 12% transition, 7% variable retention logging. Lower Rancheria Creek, Upper Navarro River, Hendy Woods (MD: T14N R15W Sec.4, 9, 10, 11, 16). Wet weather operations, moderate erosion hazard, 6 unstable areas, steep slopes up to 65%, 22 road drainage work sites, impaired 303.d watershed, coho watershed, 1 spotted owl within .65 mi, scattered large trees. Estimated public comment deadline: 02/18/13. 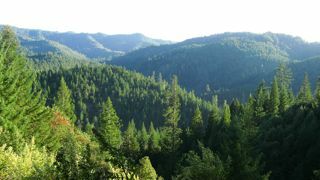 This THP is about 2.75 miles NW of Philo, CA near the main stem of the Navarro River and close to Hendy Woods State Park. Mendocino Redwood Company is planning a tractor and cable logging operation on steep slopes up to 65% at an elevation of 160 feet to 1,240 feet above sea level. There are 22 road related work sites that will require rocked dip construction, culvert repair/replacement and roadbed maintenance to mitigate sediment issues. 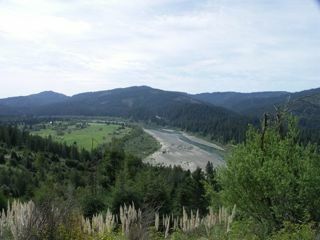 Logging is planned in and around 6 unstable areas that drain into the Navarro River which is listed as “impaired” due to sediment and temperature. More information is available on the THP Tracking Center website. THP 1-12-126 HUM (Strong Armed THP) Humboldt Redwood Company, 502 acres; 54% selection, 24% group selection, 15% no-harvest, 6% variable retention, 1% roadside logging. Root Creek, Bear Creek, Hely Creek (HUM: T1N R2E Sec.5, 7, 8, 17, 18). 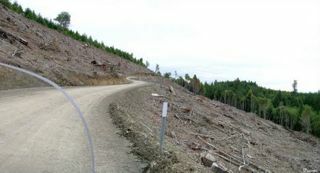 Winter operations, high erosion hazard, steep slopes up to 80%, steep roads, 78 road drainage work sites, landslide terrain, road failure sites, impaired 303.d watershed, adjacent to riverside park, coho watershed, 15 spotted owls within 1.3mi, 4 osprey nests, large tree helicopter logging, logging in marbled murrelet stands, trees up to 75” dbh. Estimated public comment deadline: 02/14/13. This THP is about 6 miles NE of the town of Rio Dell and Highway 101; between the Eel and Van Duzen Rivers and next to Riverside Park. Humboldt Redwood Company is planning a fairly large timber sale with helicopter logging on very steep slopes that could include the removal of large trees. 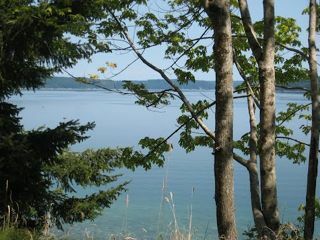 The area is also home to spotted owls, osprey and marbled murrelets. There are also numerous road and crossing sites that are in need of repair and/or reconstruction, and some road failure and landslide related problem areas. Both the Van Duzen and Eel rivers are coho watersheds and are listed as “impaired” due to the impacts from historic logging practices. More information is available on the THP Tracking Center website. THP 4-12-031 TUO (Flat Tail THP) Sierra Pacific Industries, 689 acres; 90% clearcut, 7% selection, 3% commercial thinning, 1% roadside logging. Little Rattlesnake Creek, Upper Beaver Creek, Upper Griswold Creek, Lower Beaver Creek, Mill Creek (MD: T5N R16E Sec 1,2,3,9,10,11,12,15,16; T5N R17E Sec 5,6; T6N R16E Sec 36; T6N R17E Sec 31,32). Winter operations, moderate erosion hazard, steep slopes up to 65%, 52 road drainage work sites, oversized units, 10 CA spotted owls within 1.3mi, goshawk nest within .25mi, trees up to 120 years old. Estimated public comment deadline: 02/10/13. This THP is about 9 miles NE of Arnold, CA near the North Fork of the Stanislaus River at an elevation of 4,700 - 6,500 feet. This THP is mostly a clearcut THP listed as 584 acres of Alternative Prescription (clearcut with a seed tree component that leaves no large seed trees behind and requires hand planting). SPI is planning 276 acres of so called “buffer areas” around units for logging support activities, however they can also log trees if they damage them. They also want to use ground based equipment on slopes up to 65% in units designed for cable logging (Units 2682, 5029 and 5009c), and to use excavators on slopes between 40% and 50% for fuels treatment. There are 7 oversized units and 7780 feet of new road construction planned. SPI is also planning to use a landing in a class II watercourse, and some spur roads to access waterholes in streamside areas. There are 52 road drainage work sites including culvert cleaning/repair, dip construction/rocking, ditch construction/cleaning and waterhole construction. 1 historic goshawk nest (2002) was reported within .25 mi of Unit 2682 in Section 14. Botanical surveys have not been done yet - possible habitat for Threebract Onion, Yosemite Onion, Small’s Southern Clarkia, and Slender Stemmed Monkeyflower. More information is available on the THP Tracking Center website. THP 1-12-124 MEN (Marble Gulch THP) Mendocino Redwood Company, 941 acres; 65% transition, 31% seed tree, 4% variable retention, misc roadside logging. North Fork Noyo River, Duffy Gulch (MD: T18N R15W Sec.4, 5; T19N R15W Sec.31, 32). Wet weather operations, moderate erosion hazard, steep slopes up to 75%, 21 road failure sites, steep roads, landslide terrain, 64 road drainage work sites, impaired 303.d watershed, coho watershed, 8 spotted owls within 1.3mi, trees up to 34” dbh. Estimated public comment deadline: 2/12/13. This THP is about 12 miles NW of Willits, CA and a couple miles north of the Skunk Train line. The plan area is located near Marble Creek, a tributary of the North Fork Noyo River at an elevation of 400 to 1,680 feet. The Noyo River is listed as “impaired” for sediment and temperature and this THP is in an area that has seen a lot of logging over the years. This THP contains a high number of road failure sites, and due to the steep slopes and abundant landslide terrain, there are over 64 road drainage work sites planned because of potential sediment issues. More information is available on the THP Tracking Center website. THP 1-12-123 MEN (Beaver Pond THP) Mendocino Redwood Company, 997 acres; 57% transition, 42% seed tree, 1% roadside logging. Two Log Creek (MD: T17N R15W Sec.18, 19; T17N R16W Sec.13, 14, 23, 24). Wet weather operations, high erosion hazard, landslide terrain, steep slopes up to 80%, steep roads, road failure sites, 95 road drainage work sites, impaired 303.d watershed, coho watershed, 11 spotted owls within 1.3mi, scattered large trees. Estimated public comment deadline: 02/11/13. This THP is a few miles south of Highway 20 (Fort Bragg Highway) and about 4 miles north of the town of Comptche. 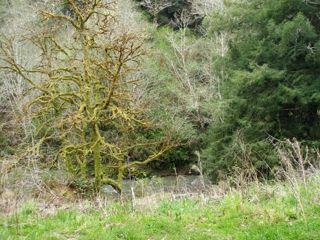 Mendocino Redwood Company is planning a mostly tractor and cable timber sale on steep slopes up to 80% within several tributaries that flow into the Big River. Currently the Big River watershed is listed for temperature and sediment likely due to the intensive amount of logging in this area. This THP has over 95 road drainage work sites that include culvert repair, crossing stabilization and roadbed repair. It is also adjacent to lands owned by the Jackson State Forest. More information is available on the THP Tracking Center website. 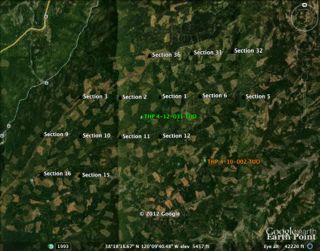 THP 1-12-122 HUM (591 THP) Green Diamond Resource Company, 51 acres; 95% clearcut, 5% no-harvest logging. Upper Roach Creek (HUM: T10N R2E Sec.27, 28, 33, 34, 35). Wet weather operations, moderate erosion hazard, slopes up to 45%, unstable area in unit a, road failure sites, impaired 303.d watershed, 2 spotted owls within 1.3mi, coho watershed, trees up to 64” dbh. Estimated public comment deadline: 02/08/13. 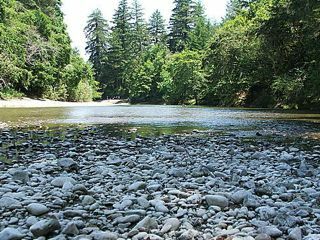 Green Diamond Resource Company is planning a new THP in the Roach Creek Watershed about 6 miles SE of Orick, CA and east of Redwood National Park. Most of the THP drains into the Klamath River about 10.5 miles away and is in a steelhead watershed. 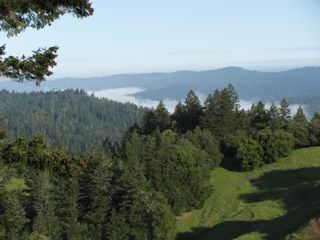 It is close to the Yurok Reservation on mostly Green Diamond land so there is little or no public access. Green Diamond is planning a tractor and cable logging operation on moderately steep slopes, including some logging around an unstable area in Unit A, with some road repair and culvert repair work planned. According to the THP there are scattered trees up to 64” dbh. More information is available on the THP Tracking Center website.